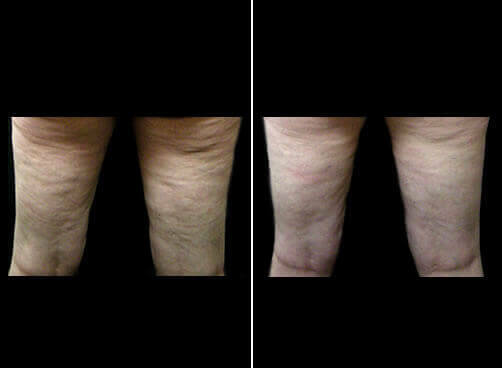 42-year-old female, 5'7", and weighing 135 pounds underwent Cellulaze for treatment of posterior thigh Cellulite. The procedure was performed under local anesthesia and returned to work the day after surgery. These are the patient’s early results as of 3 months. We anticipate further improvement over the next few months.